As United Airlines puts planes into service without in-seat screens questions are being asked about the future of the inflight entertainment systems on those aircraft. For Thales’ LiveTV unit the answer to those questions represents a significant part of the company’s future plans. 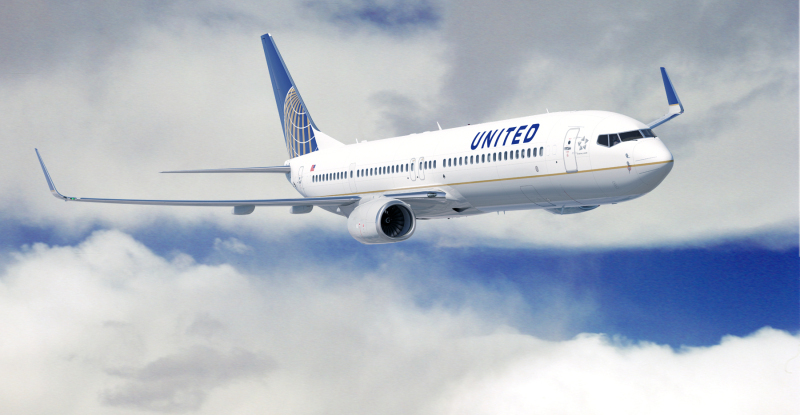 LiveTV provides the in-seat DirecTV system and ViaSat ‘Exede’-powered Ka-band inflight connectivity system on United’s 737 fleet. Because the very latest aircraft have been fitted with the connectivity solution, the radome atop these aircraft is same one that is used for the combo in-seat TV/connectivity system with two antennae. That’s just one hint of what the future holds. The latest iteration of the LiveTV platform, expected in service in mid-2015, will still not include in-seat screens on United’s newest airplanes but that doesn’t mean it will lack live television options. By tying the DirecTV and on-board Wi-Fi systems together LiveTV and United will be able to offer customers the ability to stream the same 100+ channels of live television to their own personal electronic devices, similar to how they can stream stored content from an on-board server today. LiveTV has plenty of data about watching habits from all its customers and over they years the company has realized that an aircraft will almost never see more than 25 unique channels in use, even on a plane with 150 passengers and 99% usage of the system. So LiveTV expects to be able to meet passenger needs for TV streaming, and still be able to deliver high-speed Internet connectivity to passengers who prefer that service [operating over the separate Ka antenna]. Meanwhile, some media outlets have predicted that wireless entertainment will ultimately replace seat-back systems, and have cited United’s decision not to fit its new 737s with embedded IFE as an example. But with as many as 50 airline requests for proposals (RFPs) for embedded IFE circulating in the industry, it’s difficult to see how embedded IFE will quickly become a thing of the past. In short, United’s IFE decision for its new narrowbodies doesn’t necessarily represent a bellwether for how the industry will evolve, at least not how the wideobody sector will trend. Indeed virtually all long-haul aircraft are ordered with embedded IFE. Even so, airlines and airframers remain open to possible change as wireless technology – and with it the ability to stream more and better quality content – improves. There is a possible wild card in the long-haul market, however. Lufthansa’s supervisory board yesterday approved the carrier’s plan to launch long-haul, low-cost service under its LCC Eurowings brand in partnership with SunExpress. We’ve asked Lufthansa if it will offer embedded IFE on the long-haul, low-cost A330 service or if it will opt for a purely wireless cabin. Despite repeated requests, the carrier has not provided comment. If Lufthansa chooses not to offer embedded IFE – AND if this service proves successful – then the dominoes may start to fall as other low-cost, long-haul carriers follow suit. But of course, if this type of service proves hugely popular, and ultimately surpasses the popularity of Lufthansa and other legacy carriers’ core products – which currently feature embedded IFE – then a far greater shift will transpire in the industry (and the change in IFE from embedded to wireless will be a mere footnote). Time will tell. However, the big focus in the short-haul market is without a doubt, BYOD [bring your own device] and for airlines to provide inflight connectivity, wireless IFE and in the case of United – and indeed Southwest Airlines – streaming TV to these devices. In-seat power is also a must. “You have to have USB power; the airlines believe in that firmly…you don’t want to run the tablet down on a flight so lots of demand for that on short-haul,” noted Acro Aircraft Seating managing director Chris Brady at FTE Global. He added, “There is no way of foreseeing the future and we’re stuck with development life cycles to a certain extent, so I suspect the answer is to work in the development life cycle and make it quicker to certify something. That’s got to be an industry response to a changing commercial environment – get better at certifying stuff.” To that end, airframers and suppliers are collaborating to shorten the lead time for integrated embedded IFE/seats. Pingback: Are in-seat entertainment screens ready to disappear?